Next SAT: May 7; register by April 8. Next one is in June. Next ACT: April 9. Register by March 4. Next one is in June. Please call us for test prep and tutor referrals! Seniors – Decisions Are On The Way! The waiting has been excruciating! But seniors – the time has come. You should hear back from every college on your list within the next two weeks. If you have been offered a spot on the wait list anywhere, here’s a post that answers some of the questions you may have about wait lists. Plan Your Spring Break College Visits! The best time to visit colleges is when school is in session – that way you can meet with actual students, eat in the cafeteria and possibly sit in on a class. A drive-by “visit” does not tell you anything about a college (except if it’s attractive!)!!! Fortunately, many colleges have their spring break at different times than high school spring break. So go visit a few colleges! Keep track of what you see, feel and experience on campus – download the College Board’s “Campus Visit Checklist” from Magellan’s Resources page. Make sure you reserve a spot on a tour on the Admissions or Visit webpage, and check in when you arrive. Many colleges keep track of student visits! 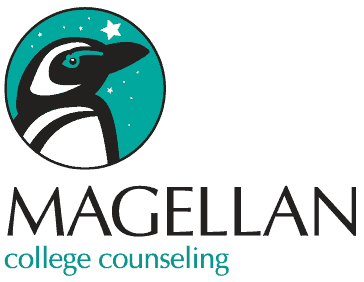 Magellan’s comprehensive college counseling plan includes 35 hours of personalized guidance throughout the student’s junior and senior years. We also offer a limited-hours “mini-plan” for students who start in the spring or summer of their junior year. We charge $200 for our 90-minute in-home consultation, which we credit back to families who sign up for one of Magellan’s counseling packages. Create a resume – list all extra-curricular and volunteer activities and academic honors since 9th grade. Start thinking about summer plans: volunteer work, job, academic pursuit. Magellan’s Summer Programs List is available upon request.